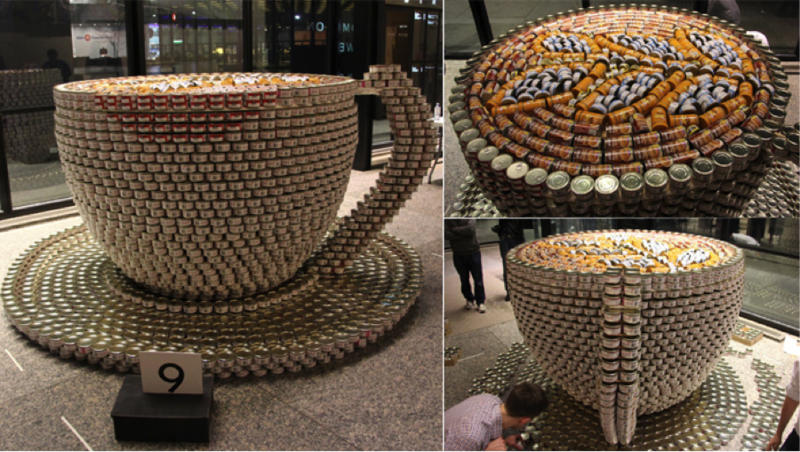 The Toronto design, architecture, and engineering community gives back with 22 canstructures and over 63,000 pounds of food for the Toronto Daily Bread Food Bank! We teamed up with Entuitive and PCL Construction to design and construct an award-winning exhibit for Toronto’s 17th Annual Canstruction competition. A unique food drive, Canstruction challenges the design community to help raise awareness around hunger in the communities they helped design and build. With over 60,000 pounds of food raise and media attention around hunger and poverty, the real winner in this competition was the Toronto Daily Food Bank and the families they serve. We hope the conversation can be kept going year-round.